Hi guys, as the mighty S is such a great all-around bike I found myself choosing it to commute and tour on despite having more traditional options in the garage. Only issue has been a lack of a "real luggage solution. I've fitted a Devil full system from an S1000RR which required the removal of pillion pegs, so the bike is a one-seater. The aggressive up-sweep of the canister prevents me from running hepco side bags, so I had to get creative. All I did was modify the stock pillion pad by mounting a Givi monokey plate to it with four bolts and reaming out the space where the key is inserted. 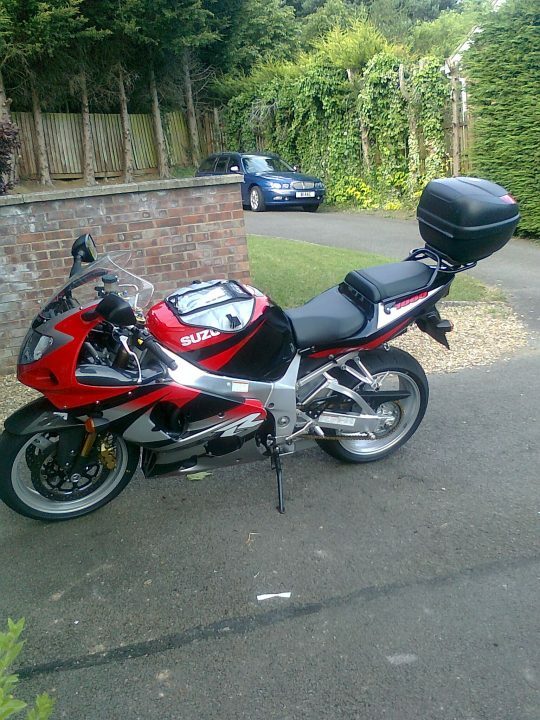 I can now click any of the variety of Givi topcases onto the pillion in seconds. It's friggin awesome even if it does look ridiculous. This is now the perfect bike. And one more of the bike sans box but with plate mounted. That other bike under the cover looks exotic! Who cares what it looks like as long as you're happy. Love the bend directly below the frame on the exhaust too. A couple pics of the other bike, an '82 CB900F with some stock parts left on it. If you want to do this mod leave me a private message. 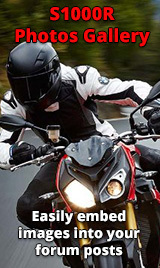 Givi sells a top case and bracket ???? Nice work gentleman, ive seen a box mounted to a few pillion seats, I was aiming to mount a box to a renntec rack like I have done with my previous bikes, as on my GSXR. I really like the idea of using the pillion seat, maybe ill try and get a spare, can the lock be duplicated easily enough does anyone know? What Givi part number is this mount ?